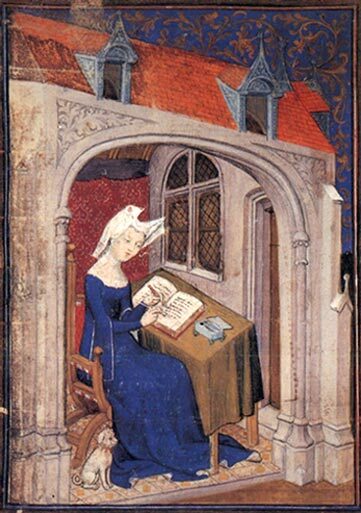 During medieval times, women often times were involved in the transportation of agricultural products and manufactured goods, driving ox carts to area markets. Some women are documented as being involved in the buying and selling of wool, going from farm to farm to buy fleeces from peasants for a cent or two below market cost, then transporting the fleeces to the market by horseback and carts where overseas buyers would bid on the wool. In our own country’s history, women were implemental in getting the wagons across the prairies to settle the west. They would drive the wagons while their husbands rode guard on the wagon train. Some enterprising women were single professionals wanting to escape the binds of society against their chosen profession. Yes, some were prostitutes, but there were also female doctors, lawyers and journalists that went west to practice their profession in the relative freedom of the west for women driving their own wagons. 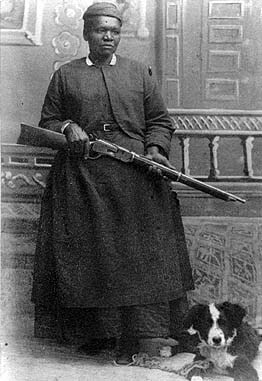 One woman, Mary Fields, an ex slave from Tennessee, became a freight hauler, rode for the Pony Express and finished her life as a mail deliverer driving stagecoach, not missing a day, until almost the age of 80. One of the most well known women freight haulers was from Missouri, Calamity Jane Cannary. Born about 1852 in Princeton Missouri, Martha Jane Cannary became the head of the family when her widowed father died and she became responsible for her siblings, moving them from UT where they had moved after her mother‘s death. From her autobiography of 1896, Martha Jane writes of this time: "While on the way, the greater portion of my time was spent in hunting along with the men and hunters of the party; in fact, I was at all times with the men when there was excitement and adventures to be had. 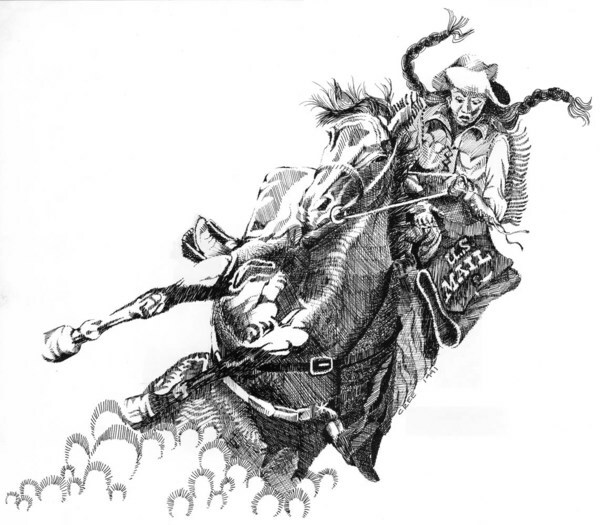 By the time we reached Virginia City, I was considered a remarkable good shot and a fearless rider for a girl of my age. I remember many occurrences on the journey from Missouri to Montana. Many times in crossing the mountains, the conditions of the trail were so bad that we frequently had to lower the wagons over ledges by hand with ropes, for they were so rough and rugged that horses were of no use." 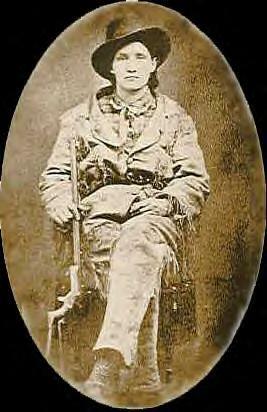 Calamity Jane learned to ride, hunt and shoot, was an army scout and was feared by the Indians. 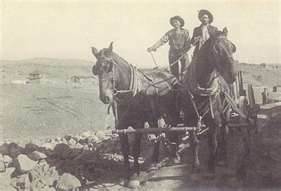 Wearing mens clothing, she drove teams hauling freight into mining towns and it is rumored, married to Wild Bill Hickock. Women didn’t only drive wagons, they also led in inventions used in railroads, shipping, bridges and roads. In the 1800’s, Rebecca Lukens ran an ironworks that made hulls for ships and boilers for locomotives and ships. 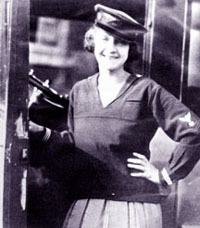 Martha Coston developed pyrotechnic flares used by ships to signal for help. Mary Riggin invented railway crossing gates, Eliza Murfey invented a lubricating system for train car axles, and Mary Walton invented a noise pollution reduction system for the El in New York City. Harriet Quimbley became the first woman pilot in 1911 followed by Bessie Coleman, the first African American female pilot in 1921. In 1932 Amelia Earhart piloted a plane across the Atlantic ocean. Much has been written about Lillie Drennan, a woman who got her license to drive in 1929 and ran her own trucking company until her death with a six gun strapped to her side. She was known to give her male drivers ‘a kick in the pants’ if they didn’t follow her orders. 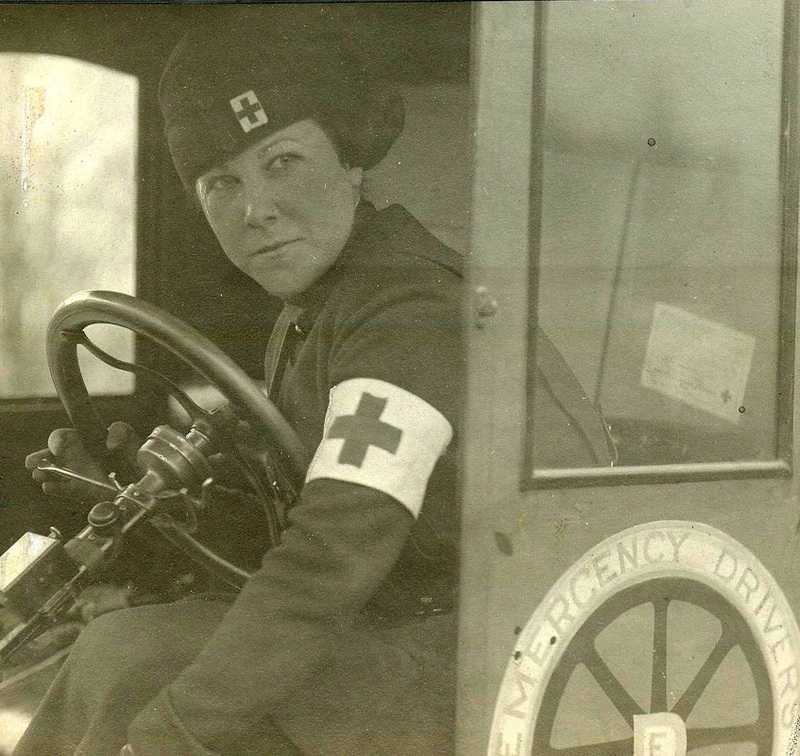 During WWI and WWII, women were ambulance drivers, pilots and truck drivers hauling supplies, mail and the wounded. In factories, women drove lift trucks and operated cranes, and some even piloted tug boats in harbors. 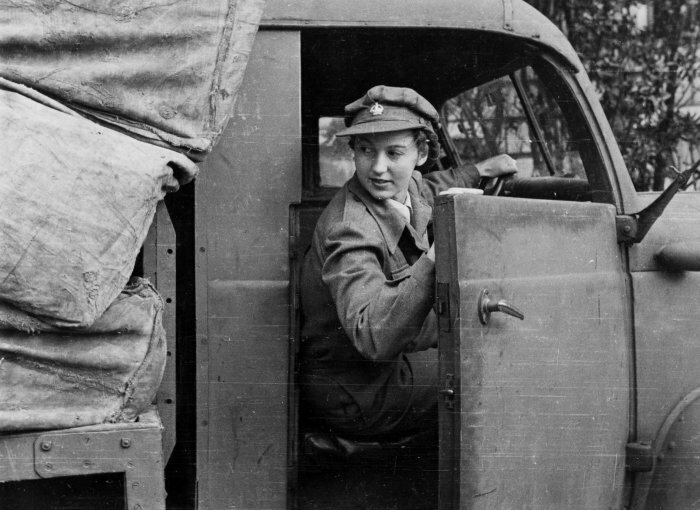 As we have seen, women have been involved in transportation for hundreds of years and give us lady drivers of modern trucks and those women involved in other areas of the transportation industry, a proud history to live up to. As the WWII poster of Rosie the Riveter says proudly, “We Can Do It”. We can, and we are doing it. In today's trucking world, women are making up more of the driving population than ever before. 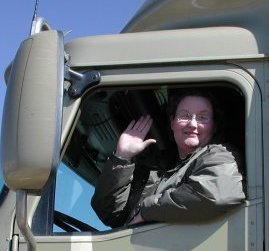 With divorce putting more women in need of providing for their children, women choosing career over family and with the over inflated advertisements of trucking schools that tout big, easily attained first year earnings, women are thinking of truck driving over more traditional careers. 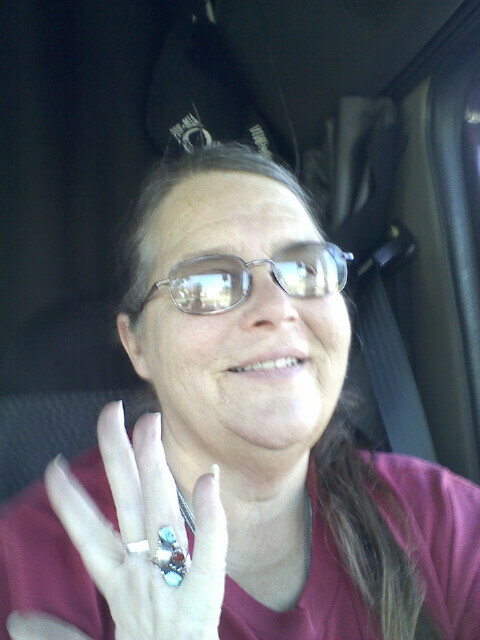 In my role of owner of a trucking group, I have been mentoring women who are considering trucking as a career choice. I am finding that many women have no idea of what the trucking industry is other than what little they read on message boards and see on the TV/movie screens. Recently I spoke with a lady who said "I have wanted to be a trucker since I saw Convoy...I want to fight the law and win". Another said, "I just loved Jerry Reed in Smoky and the Bandit...I want to drive truck like him so I can have someone like Burt Reynolds run interference for me". My personal favorite reason I've heard for wanting to be a driver was: "I have been talking to a trucker in a chat room and he said I wouldn't have to work very hard and I could party all I wanted, whenever I wanted and still make $50k a year!" If the lady has unattainable or fantasy expectations from driving truck, I try to educate her as to what the job entails, the salary she can expect the first year, how often she will probably get home and the way trucking really is. The job entails working 14 hour days, physical and mental stamina, mathematical and public relation skills and the ability to stay away from home for extended periods, to name a few. Realistically, the first year, one will make between $25-30,000 depending on the company and when in the year you start. Many women think that they will be able to get a local job straight out of school so they can be home every night. Few companies will hire someone for local work without some experience. The first 6 months to one year, one can expect to get home every two to four weeks. If the lady has children still at home, I ask her who they will stay with while she is gone and if she agrees that they do not need her to be around very often. One lady had 5 children under the age of eight and thought that she would be able to take them on the truck with her full time to raise and home school! It is tough being married/in a relationship with one of the partners on the road all of the time. I have a lot of respect for women who are married to truckers and stay home but I have found that most men do not want their wives/girlfriends gone for extended times. So I always advise women if they are in a relationship to discuss trucking thoroughly with their partners. Make sure that one's partner understands what the job entails and if they don't want you to be gone a lot, perhaps see if they want to become a driver also so you can run team. If they do not agree, rethink your choice. No career is worth ruining a good relationship. 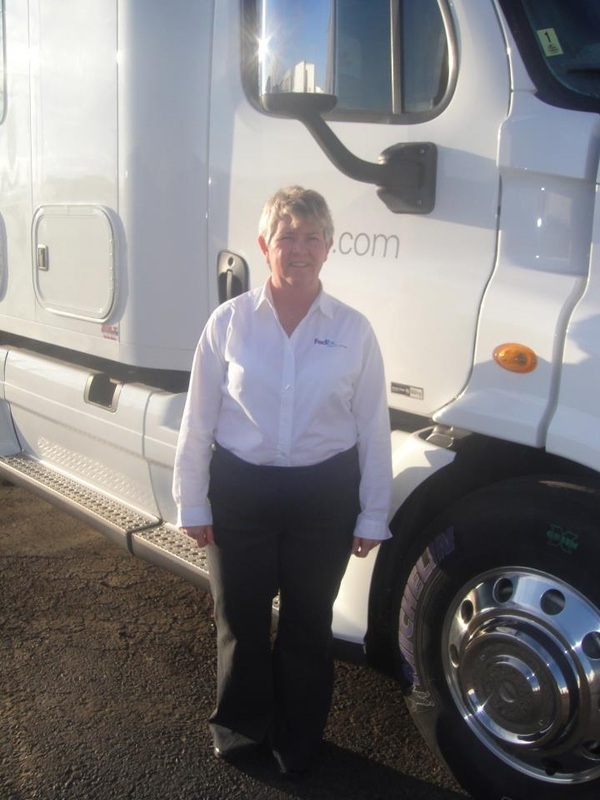 Truck driving is one of the most equal opportunity industries around for women with no glass ceiling stopping a woman from reaching top pay the same as a man of similar qualifications and experience. A woman out of school will start at the same rate of pay as a male and advance proportionately as she gains experience, skill and miles. Therefore, it is a good career choice for women, but make sure you understand everything about trucking that you can find out before making your decision. Talk to as many current and former drivers that you can find, don't just listen to one. If you decide to pursue a career as a trucker, then start with the basics. Find a school near you that treats you with respect, get your financing arranged, study the basics, don't be afraid to ask questions or for extra help if you need it and finally don't give up...keep trying even if it seems you will never pass that test or hit that dock, you will succeed if you really want to. 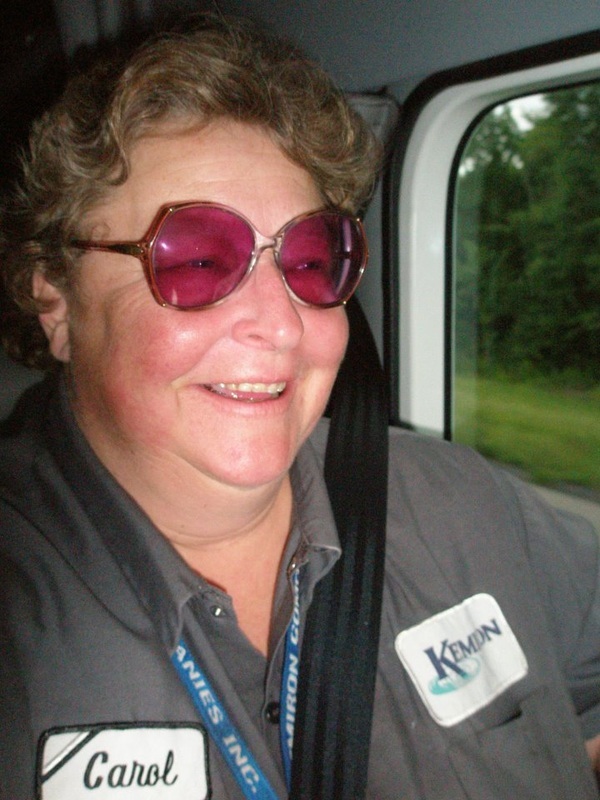 Trucking can provide a good living and a rewarding career for lady drivers, it has for me. It is not easy, but nothing worthwhile in life is.